In Foundation staff use Numbers and Patterns as a platform to support their planning and teaching of Mathematics to allow children to work towards achieving their full potential. 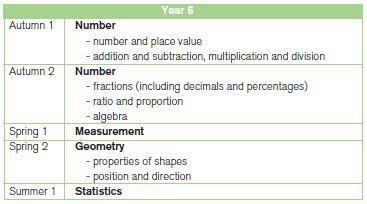 Mathematics is also taught through continuous provision. The four domains are allocated to each term. Gwladys Street has become part of Liverpool's Maths Quality Mark! Gwladys Street is setting you a challenge. Follow the link below and take the National Numeracy Challenge. We would like to celebrate the talents of all our parents and carers so once you have taken the challenge, print off your certificate and bring it to school. We would like to create a 'Hall of Fame' which celebrates the great Mathematicians in our community! Fantastic news! Gwladys Street Community Primary and Nursery School has become a hub school in Liverpool for Maths of the Day. Maths of the Day allows children to develop their basic skills in Mathematics through PE and other physical activities achieving key objectives from the New National Curriculum. Look out for images of this exciting new resource on our website and ask your child about their experiences. We welcome other schools to contact us to see Maths of the Day in action. Maths of the Day Homework Link If your child has completed their homework that has been set this week by their teacher, why not log on and find a different ACTIVE task to do. 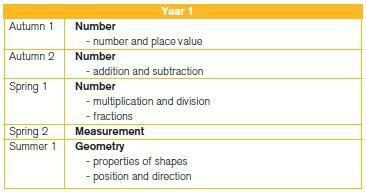 Mathematics is also taught in the afternoon through topics linked to the curriculum where children can apply their skills to demonstrate a deeper understanding of mathematics. Reasoning and Applying forms a large part of Mathematics at Gwladys Street as this is where children can demonstrate and apply their skills across all domains. Have you received your child's FREE basic skills pack? Every child when they start Foundation 2 (Reception) or join the school in year 1 or 2 receive a zip wallet full of practical resources to help develop their maths skills. If you have lost yours then you can request a new one for £3.50 from the school office. Log onto RM easi maths, Mathseeds or Mathletics and complete the challenges. The more you use it, the more rewards and certificates you will receive in school. 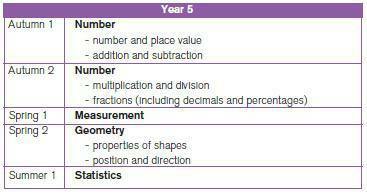 Each day in school, your child will work on their basic Maths skills for 15 minutes. At the end of the week they will demonstrate their understanding of a chosen task. They have 3 stars pin badges to achieve, bronze, silver and gold. When they achieve them, please ask them to wear them to school daily so they can share their success. Maths passports are sent home through the year so you can support your child. This can be done by playing simple games. Thank you to all the parents and carers who attended the sessions. We had over 120 people supporting the three mornings with their children. During these 3 mornings, everyone began the morning with a choice of breakfast before taking part in fun and active Maths activities developing Basic Skills and Application and Reasoning. Below are some of the comments from Parents and Carers. "We enjoyed seeing the way you teach our children." "We enjoyed the activities as they promoted discussion between parents and children." "The resources were useful in supporting us in completing the activities." " Thank you to the staff who supported the workshop – well done." "Having a list of Apps we could use at home was helpful." "The packs that you send home support learning." "Using practical scenarios and problems solving together was really helpful." "Today has really helped and given me a great understanding of how to help my daughter. Days like these are great." "I have an understanding of Maths and found fun and exciting ways of learning, instead of it being stressful." Go to the blog area and set us a challenge. The best weekly challenges and puzzles will receive a prize! Times tables fun Use this website to help learn your times tables and then test yourself. Have fun! NRICH Challenge yourself by applying your mathematical skills to some problems. Maths Playground Play Maths games to develop your skills or watch the videos to improve your understanding. At Gwladys Street Community Primary and Nursery School we are committed to equipping you as you support your children at home. Please see the attached document for an explanation on methods taught in school. Also speak to your child's class teacher if you or your child is having difficulties. Please don't be afraid to ask. Support for parents and carers Use this useful link from the National Numeracy Trust to access 'The Family Maths Toolkit'. Family Learning A useful link to support learning at school. Adult Learning - Liverpool Access courses in your area. The City of Liverpool College Adult training opportunities. National Numeracy Challenge Take the challenge. This is a great website to assess your Mathematical skills and then take the steps to improve.